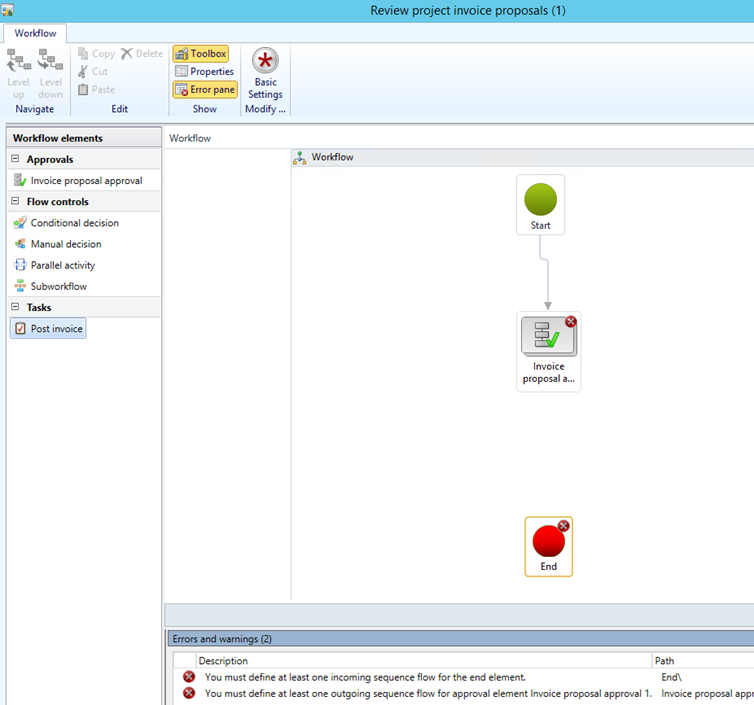 The customer has defined a workflow for Project invoice proposal approvals. At times, after they have already approved the proposals via the workflow, they need to remove the invoice proposal due to some incorrect entries. When they attempt to cancel the approval, they cannot seem to see the option to cancel the approval. If you approve an invoice proposal, and then decide that the invoice proposal is invalid, you can cancel the invoice proposal. The issue is that users typically set up the ‘Review Project Invoice Proposals’ workflow to include only the ‘Invoice proposal approval’ element. With that set up, the customer could not find the Cancel button on the approved workflow entry. At this point, the only way to cancel the approved Project invoice would be to Invoice it and then post a credit note against it. So, how can we cancel the approved Project Invoice Proposal? When defining the Project Invoice Proposal Approval workflow, there is a need to define the ‘Post Invoice’ element. Only then the system allows you to cancel or post an approved invoice proposal. 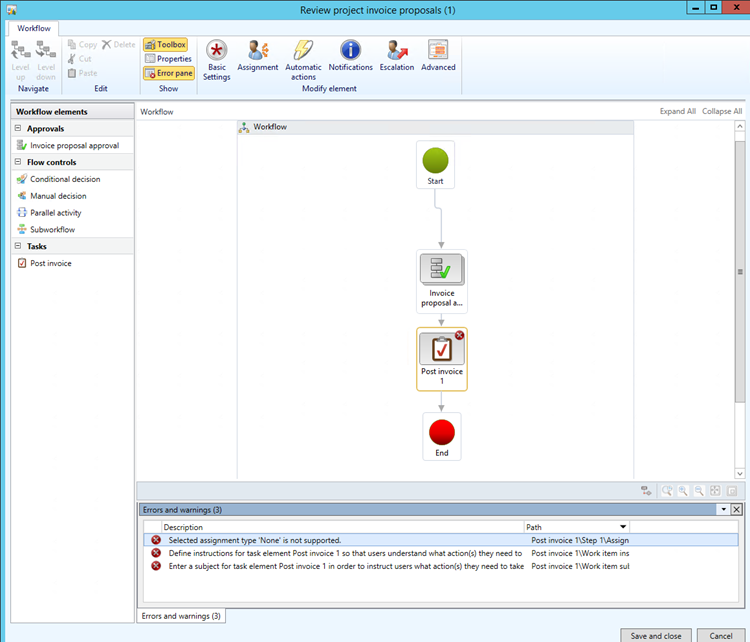 Note: Post invoice element was mandatory in invoice proposal workflow in Dynamics AX 2009 SP1. After updating the workflow and processing new Project Invoice proposals, you’ll now have the ‘Cancel’ option (along with Post, Delegate and View history workflow actions).